There is nothing better then having a close group of friends who are always there to help. Unfortunately for Jerry Seinfeld his pals just make situations worse when they help. 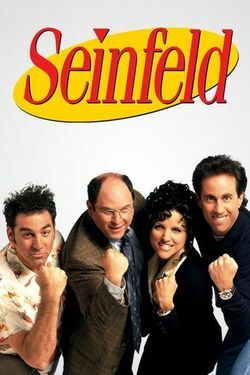 Seinfeld is a show about comedian Jerry Seinfeld and his friend navigating through the weird social rules and norms of everyday life. They take on many of the great questions that we all have. Things like saving seats at the movies, how to handle ending a relationship, and even helping out your neighbors. It’s no surprise that people love this show. The writing for this show is some the best in the history of sitcoms. They have an incredible ability to take a nothing subject and blow it up into a whole story. It’s always fun to watch how fast they just let things get out of hand. The show has a lot rewatch value as well as there are so many quick jokes you can miss the first time around. It’s all on Hulu so check it out if you’re looking for a new show to watch.